by order of Emperor Shotoku in the latter half of the 8th century. 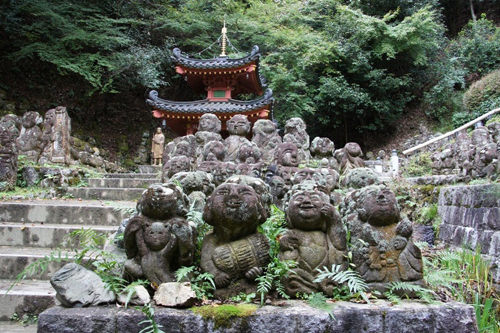 and became a branch of Enryakuji, the Tendai temple complex on Mt. Hiei. its present location in the Saga District, in order to preserve it. parts of the country from 1981 to 1991 for the reconstruction of the temple.